The Columbia River Gorge is 85 miles of awesome, unwinding from the arid plateaus east of the Cascades to the towering temperate rainforests just outside of Portland, Oregon. It’s a wonderland of thousand-foot cliffs, thundering waterfalls, vibrant wildflowers, and epic views up and down the vast river—and it’s accessible by hundreds of miles of public trail. More than two million people visit the gorge each year: today, it’s a beloved part of the Pacific Northwest’s outdoor identity. But 30 years ago, the gorge was at risk of being gobbled up by sprawl from fast-growing Portland and nearby Vancouver, Washington. The Trust for Public Land led the fight to save it, and in 1986, President Reagan signed a law protecting 290,000 acres along the border of Oregon and Washington for everyone to enjoy. On the 30th anniversary of the Columbia River Gorge National Scenic Area Act, there’s no better way to celebrate than to get out and see this amazing place for yourself. Here are our top five summer destinations in the gorge—all protected by The Trust for Public Land thanks to supporters like you. 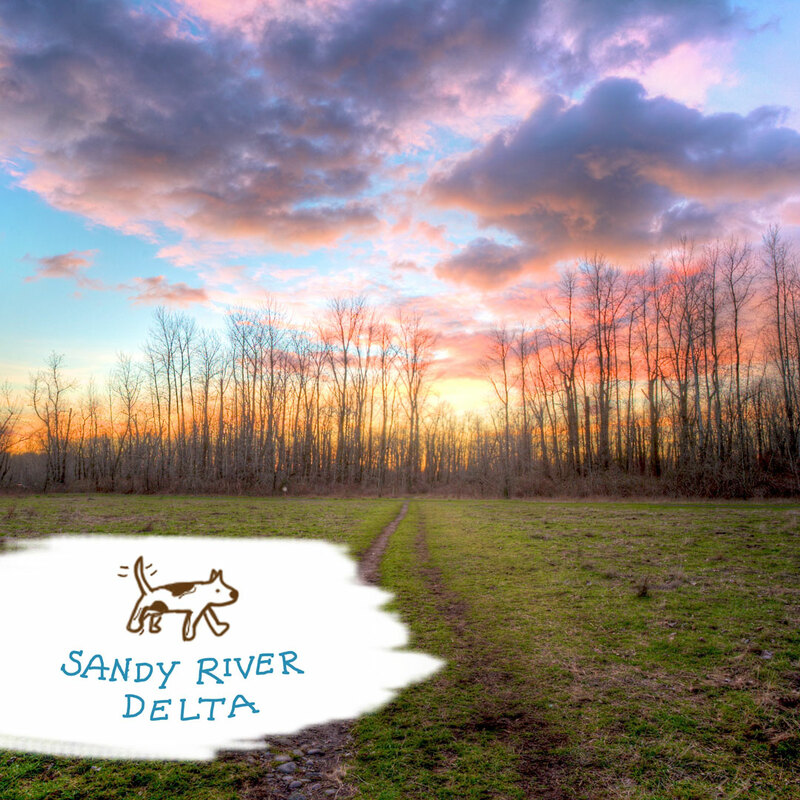 At the western edge of the Columbia River Gorge, the Sandy River Delta is a giant forested plain laced with trails for hikers, bikers, and equestrians. With no leashes required, it’s a favorite for dog owners from nearby Portland. The open meadows that dot the delta offer views of Mt. St. Helens. 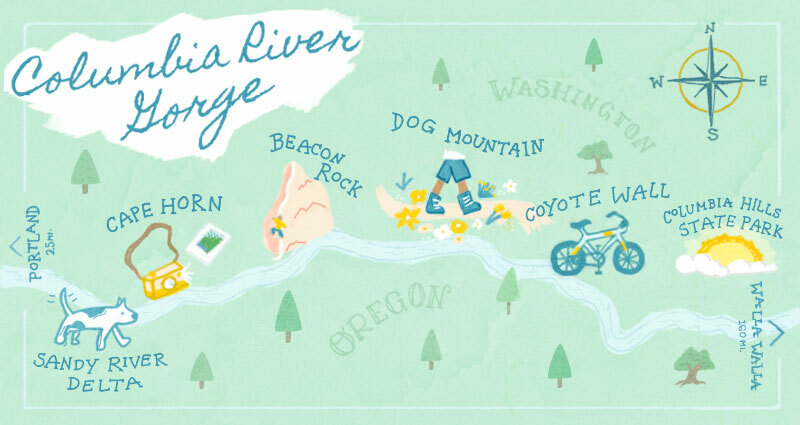 You’ll also find outdoor art from the Confluence Project, which honors the natural and cultural history of the gorge: artist Maya Lin has inscribed the installation here with the names of animals encountered by the Lewis and Clark Expedition back in the 1800s. 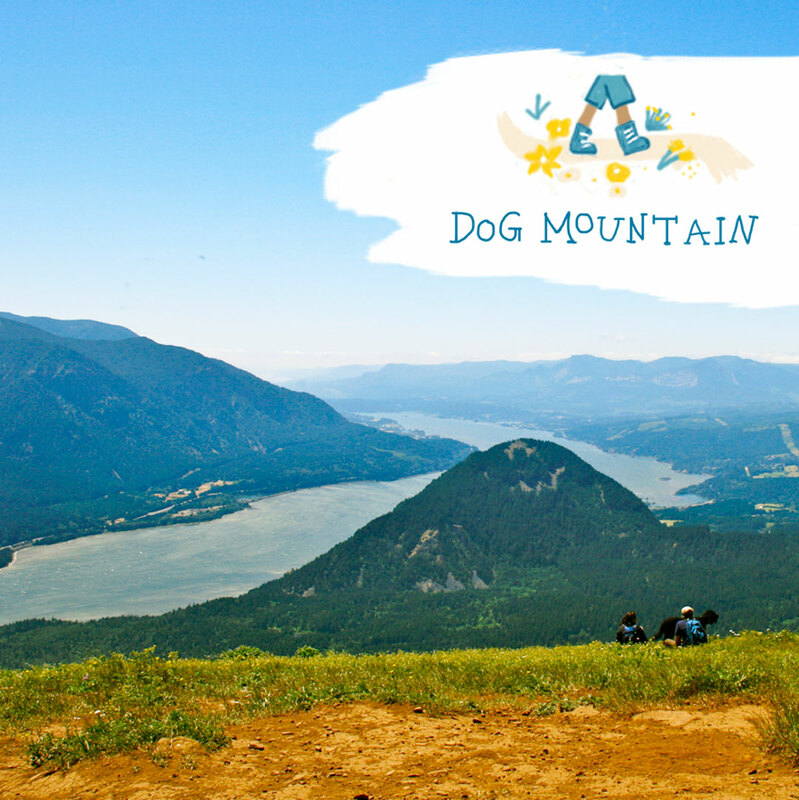 Your legs will take a pounding on the Dog Mountain trail, but the view from the top is worth all 2,800 feet of elevation gain: the whole Columbia River Gorge spills out for miles beneath your feet, while Mt. Hood and Mt. Defiance dominate the southern skyline. In May and June, the mountaintop meadows bloom into a dazzling carpet of balsamroot, Indian paintbrush, and lupine. This is one of the most popular hikes in the gorge, so come on a weekday if you can. On the way home, stop for a well-earned drink in Stevenson, Washington—one of many small river towns experiencing an economic revival made possible by visitors to the public land surrounding it. Some areas in the heart of the gorge get 80 inches of rain a year. But the east side, sheltered by the Cascade Range, gets only 10 inches. 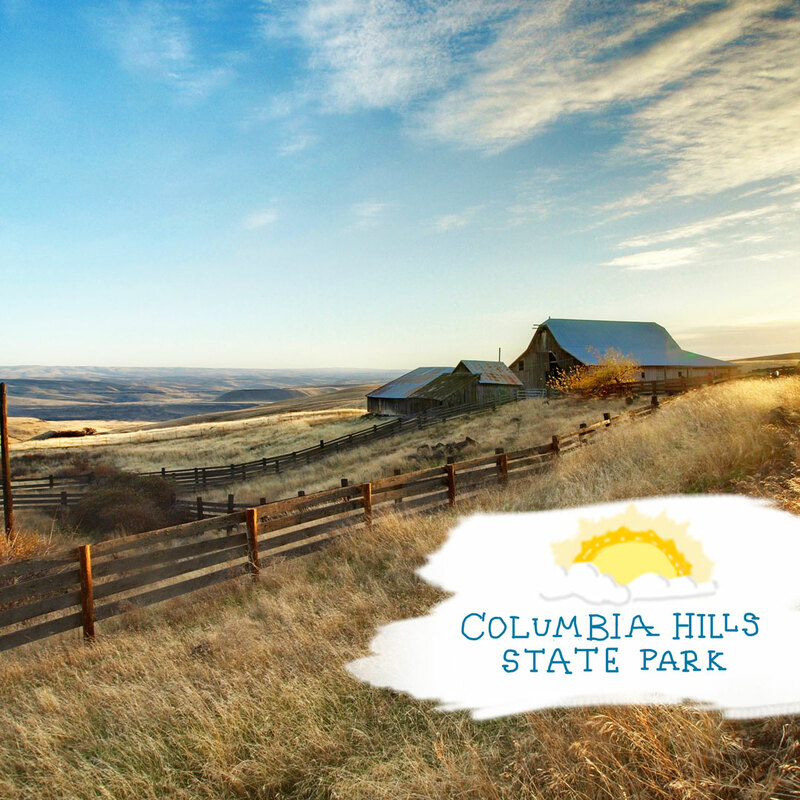 On a dreary day, Portlanders can often catch a break in the weather by heading up the gorge to Columbia Hills Historical State Park. Here, rock climbers test their mettle on the 500-foot walls of Horsethief Butte while history buffs peer into the 1870s-era pioneer cabin at Dalles Mountain Ranch. Visitors can also view dozens of rock paintings and carvings left behind by the Wishram people, including Tsagaglalal, or “She Who Watches,” a carving of a wide-eyed, grinning face on a wall overlooking the river. The trail to the petroglyphs is open only to guided tours (free: information on reserving a spot here). 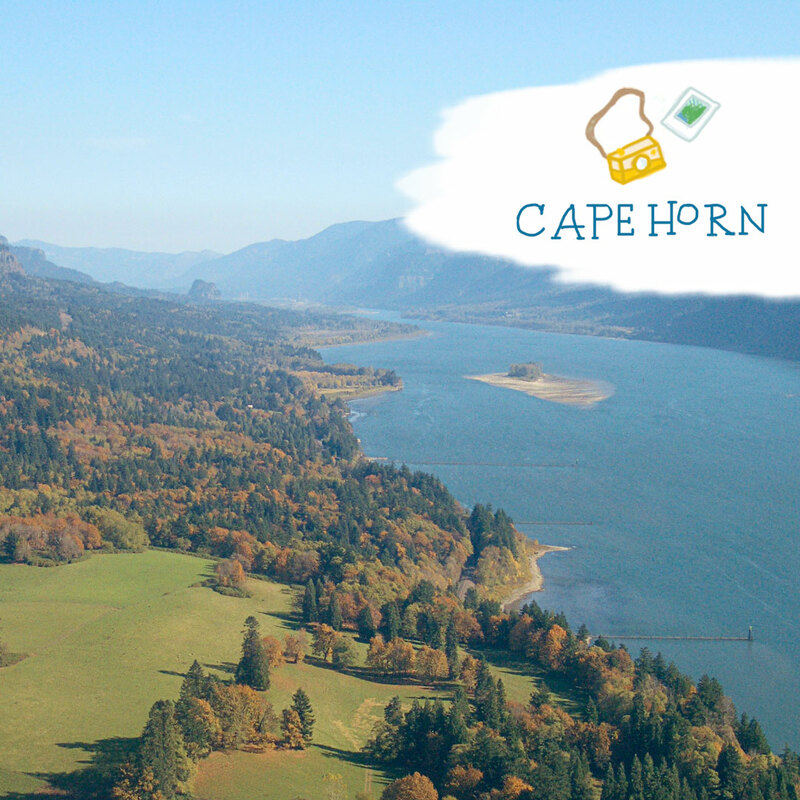 Soaring 2,000 feet above the Columbia River, Cape Horn is one of the most dramatic features in the gorge. But in the early 1980s, it nearly fell prey to a luxury subdivision that would have reached right to the edge of the cliff. Lucky for the rest of us, Nancy Russell, a dedicated outdoorswoman from Portland, extended a no-interest loan to The Trust for Public Land so the parcels could be purchased before they were developed. She then worked with The Trust for Public Land to transfer the property to the Forest Service. In the past decade, Friends of the Columbia River Gorge and the Cape Horn Conservancy have created an 8-mile loop trail along the dizzying basalt cliffs. It leads you to Nancy Russell Overlook, a breathtaking panorama and a fitting memorial to a fearless and visionary conservationist. This gigantic rock is the remains of an ancient volcano—jutting straight out of the Columbia River. 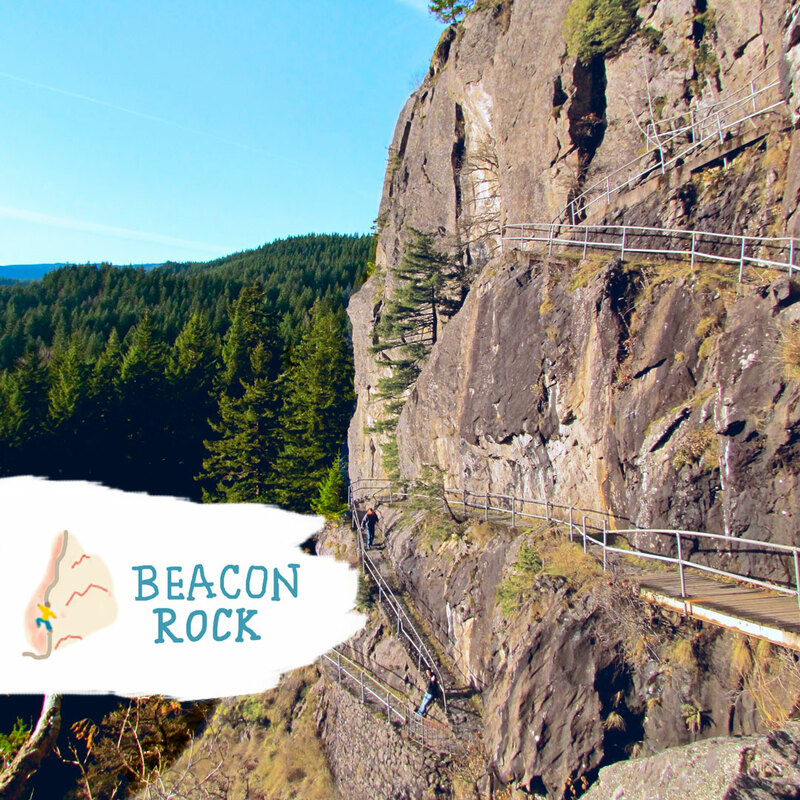 For a hike that climbs 800 feet in less than a mile, it’s a surprisingly beginner-friendly experience, thanks to the well-built steps, railings, boardwalks, and resting places that wind around the prominent tower. Rock climbers, meanwhile, make their own way up, though the technical routes are governed by seasonal closures to protect wildlife habitat. However you decide to reach the top, you’ll be rewarded with incredible views of vast forests, rivers, waterfalls, and cliffs up and down the gorge. 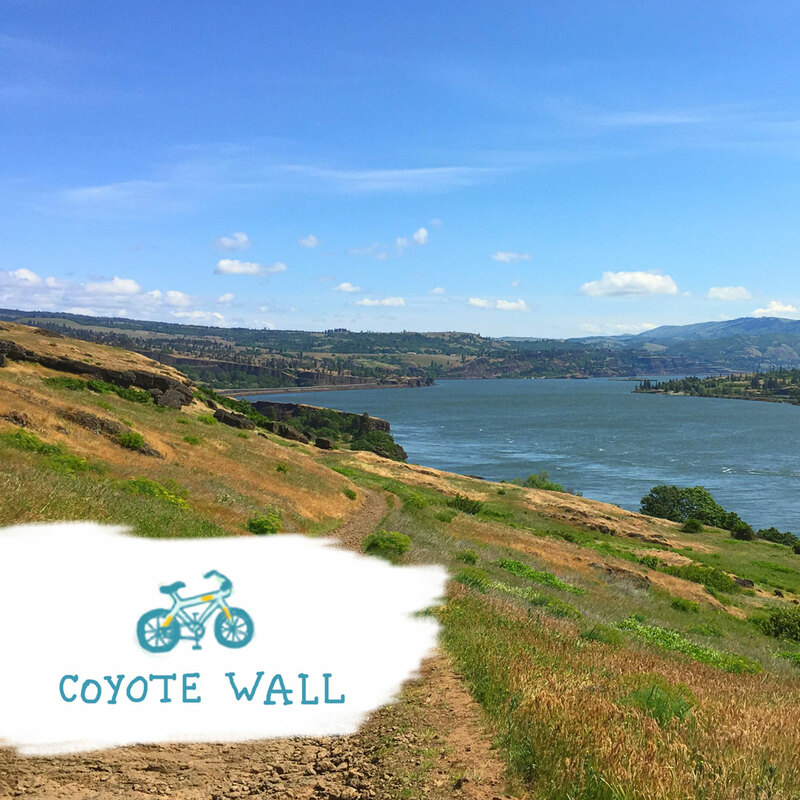 Coyote Wall rises up on the eastern side of the gorge, where lush rainforests give way to dry oak woodlands. At the intersection of several eco-regions, this part of the gorge harbors rare wildflowers, some found nowhere else on earth. Get a close look at the geological forces that shaped the Pacific Northwest as you cruise along a cliff of columnar basalt, which fractures into hexagonal columns so regular that they look like they’ve been carved by a giant hand. The trail at Coyote Wall winds along the cliff, revealing views of Mount Hood, the Columbia River, and the high and dry plateau of central Oregon. The trail is especially popular with mountain bikers, though hikers are just as welcome. The Columbia River Gorge is vast, varied, and wild enough that it could take a lifetime to see it all. It was tough to pick our favorite destinations: The Trust for Public Land has been working to save special places in the gorge since the 1970s, and over the years we’ve protected 17,000 acres. We couldn’t do this work without our friends and donors: thank you! I want to make certain that you aren't just a "front" for cooperate interests; such as wanting to name places with corporate names. Also,can we save our wild places from the Congress, particularly, the House of Representatives. Lovely idea you put together for visits. If I had any money left to donate at this time (presidential campaigns have decimated my fund for now). In a few months I hope to have a chance to start my regular donations again. I have been gravely concerned about this area after hearing news reports of an oil train spill into the Columbia River Gorge. It would be greatly appreciated if you could please update us on the situation in the wake of this terrible disaster when they become available. Beautiful, beautiful. All I need now is the money to travel there. Please leave all Columbia River gorge parka in the hands of the United it's States citizens, not in the hands of corporate sponsors. These places deserve the love of the people, not the maintenance of corporate money. I grew up there in the 1940's and 1950's. Climbed Beacon Rock several times. It is so nice to see it has been preserved. THANK YOU. For keeping our land the way it is meant to be. There is so much out there that needs saving.